But back in the early days of telephone, that’s more or less what happened. 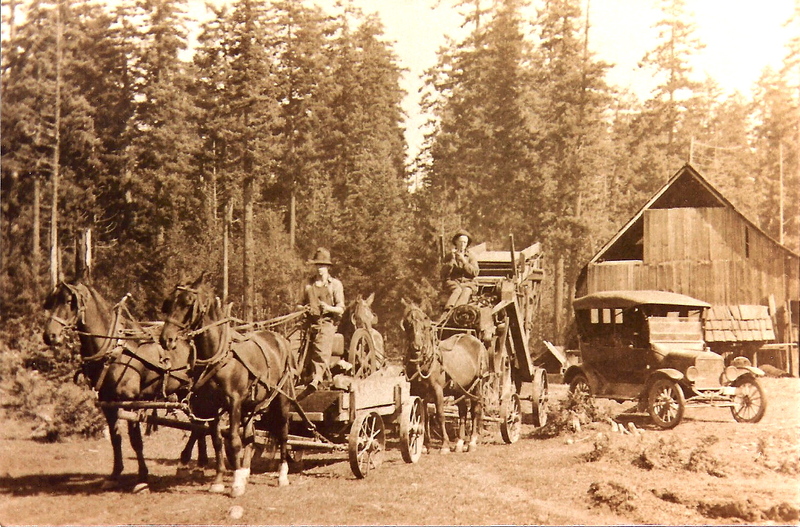 Per the History of Southeastern Pierce County, the Silver Lake Telephone Company installed two lines in 1912. They were 10 miles apart and serviced 23 people. The first home to get hooked up was owner N. P. Christensen’s. And early officers in the fledgling company were John Kipper and Frank Krones. Photo courtesy of Nelson family. They probably only had “dial-up” internet service !! How primative !! HAHA !! Frank KRONES was my great-grandfather. Now I have another fact to add to his biography. Thank you dimettler. If this is the Nelson Farm on the corner of the Mountain Hwy and Craiger Rd his name George Henry Nelson, (went by George) the oldest son of Paul and Josephine Nelson. If this is the Nelson Farm on the corner of the Mountain Hwy and Craiger Rd the name should be George Henry Nelson, (went by George). He was the oldest son of Paul and Josephine Nelson. Thank you for the information. I’ll definitely make the correction to the post.